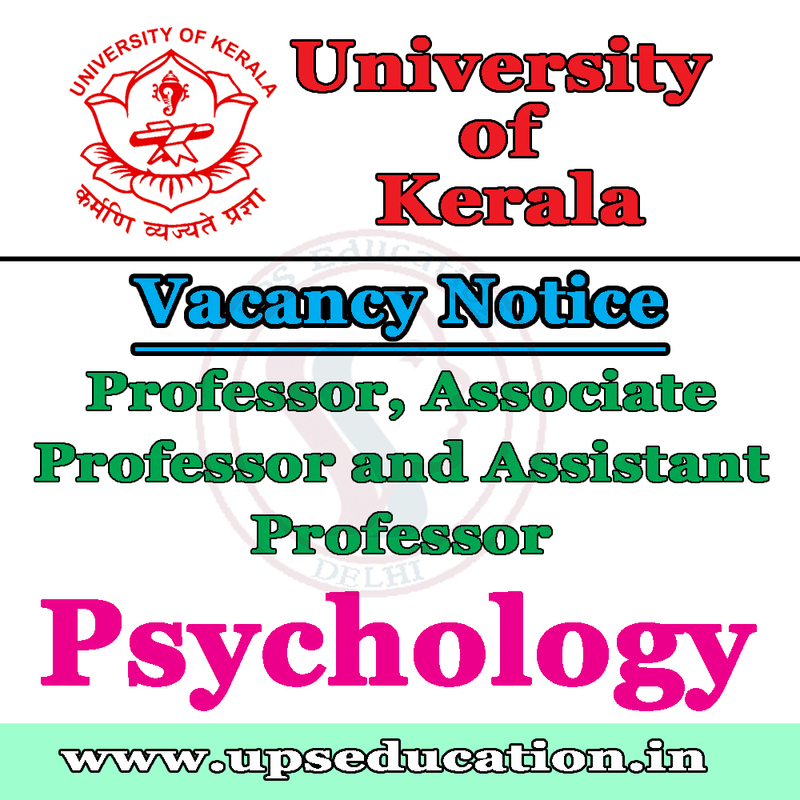 We regularly update all vacancies, Admission forms and other important information related Psychology. For any new updates of Psychology, regularly check our website. This entry was posted in psychology job and tagged assistant professor for psychology, associate professor psychology, psychology jobs, psychology lecturer job, psychology lecturer vacancy, vacancy for assistant professor on November 29, 2017 by UPS Education. 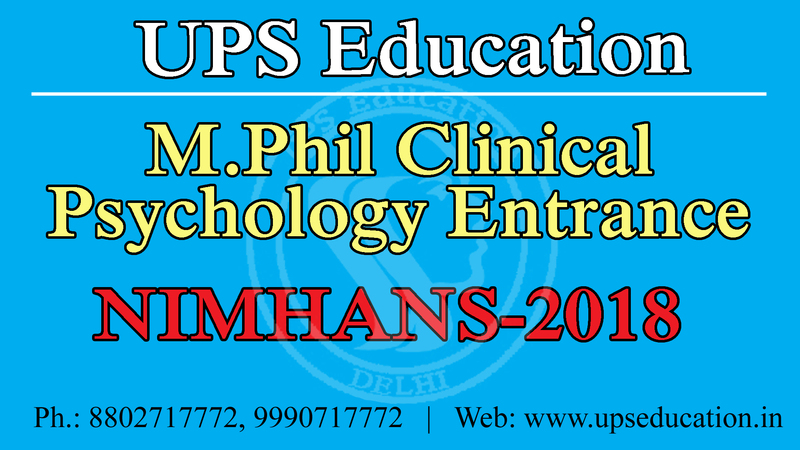 Want to take admission in NIMHANS for your M.Phil Clinical Psychology, it is not easy to take admission in M.Phil Clinical Psychology course in NIMHANS due to very tough Competition and the ratio between the number of seats vacant and the numbers of candidates apply in every session. So yes competition is very tough but not impossible… better guidance and systematic approach makes it possible and easier for you. Join UPS Education (India’s No.1 Institute for M.Phil Clinical Psychology Entrance Coaching) and move towards your goal. We have both Classroom Coaching mode as well as Distance Learning coaching mode. 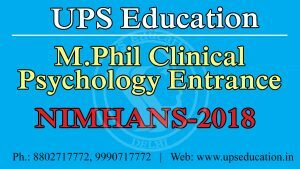 This entry was posted in m phil clinical psychology coaching, M. Phil Clinical Psychology Coaching, mphil clinical psychology entrance, एम फिल क्लिनिकल साइकोलॉजी and tagged m.phil clinical psychology entrance, nimhans 2018 m.phil entrance, nimhans m.phil clinical psychology entrance on November 25, 2017 by UPS Education. 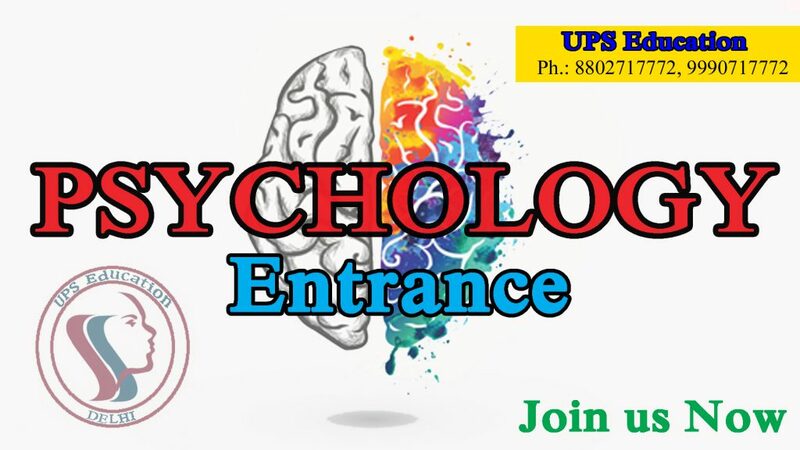 UPS Education is Best Psychology Coaching Institute in India, highest success rate in both Classroom Program and Distance Learning mode both make us Best Psychology Coaching Institute. We provide Classes and Distance Learning Coaching for MA/M.Sc Psychology Entrance, M.Phil Clinical Psychology Entrance and UGC NET Psychology Coaching. Join our new batch and increase your chance of success. This entry was posted in Best CBSE NET Psychology Best CBSE NET Psychology, Best NET Psychology Coaching, Best NET Psychology Coaching in Delhi, CBSE NET JRF Psychology Coaching, CBSE NET Psychology Coaching, Coaching for M.Phil Clinical Psychology Entrance, m phil clinical psychology coaching, M. Phil Clinical Psychology Coaching, NET JRF Psychology, NET JRF Psychology Coaching, NET Psychology, NET Psychology Coaching, Tips for NET Psychology Exam, UGC NET Psychology, UGC NET Psychology Coaching, एम फिल क्लिनिकल साइकोलॉजी, एम फिल नैदानिक मनोविज्ञान on November 23, 2017 by UPS Education. 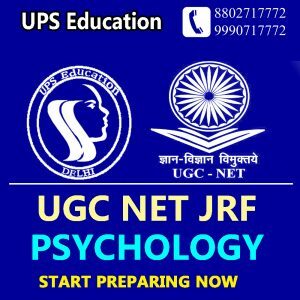 Want to take admission in MA/M.Sc Psychology Course in 2018? If yes; then start your preparation now for MA Psychology Entrance Examination of 2018 because researches show that early start may increase your chances of success. 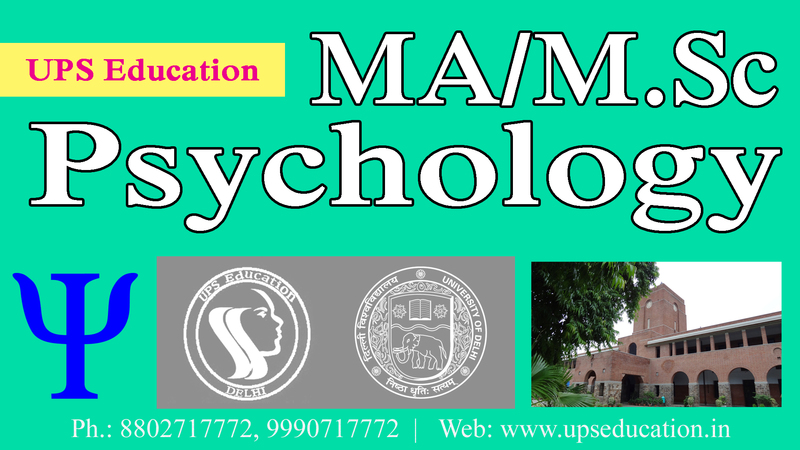 It’s right time to start your preparation for Delhi University (DU), Jamia Millia Islamia (JMI), Ambedkar University (AUD), Banaras Hindu University (BHU) and other top most university in India for MA Psychology. 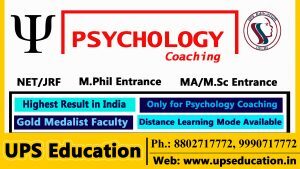 This entry was posted in best psychology coaching classes in delhi, Best Psychology Institute and tagged du ma applied psychology entrance, du ma psychology entrance, ma m.sc psychology coaching, MA Psychology Entrance on November 20, 2017 by UPS Education. Do you want take admission in one of the most popular and highlighted hospitals/institute like: IMHANS and CIP for your M.Phil Clinical Psychology Course. As you know, NIMHANS & CIP is one of the well-known institutes for M.Phil Clinical Psychology course in India, so majority of students want to take admission in this institutes. Application form for M.Phil Clinical Psychology Entrance of these Institutes will out soon in moth of December, so start your preparation from today. Only Better guidance, systematic study and practice will help you in entrance exam. 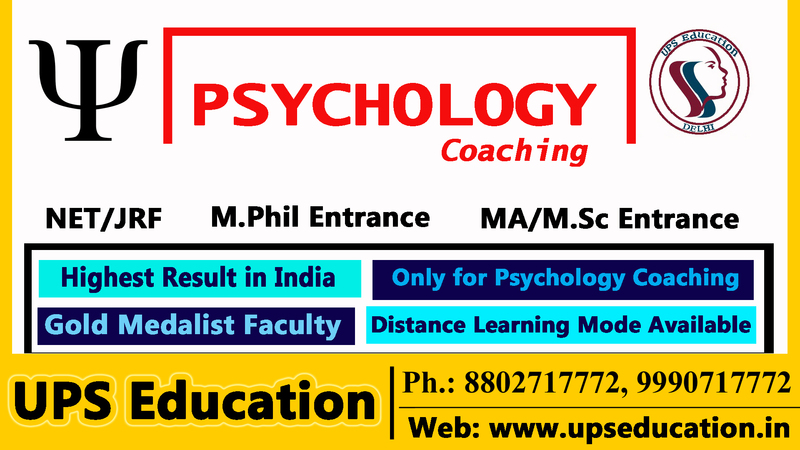 UPS Education is India’s No.1 Institute for M.Phil Clinical Psychology Entrance coaching; you may join our regular classes or Distance Learning mode coaching. It will defiantly increase your chance of admission. 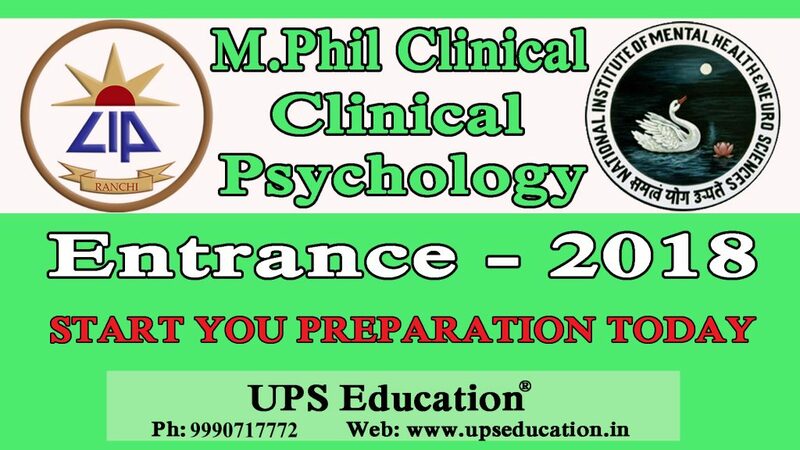 This entry was posted in Coaching for M.Phil Clinical Psychology Entrance, m phil clinical psychology coaching, M. Phil Clinical Psychology Coaching, mphil clinical psychology entrance, psychology, Psychology Classes, psychology coaching class, psychology coaching in delhi, एम फिल क्लिनिकल साइकोलॉजी, एम फिल नैदानिक मनोविज्ञान on November 16, 2017 by UPS Education. 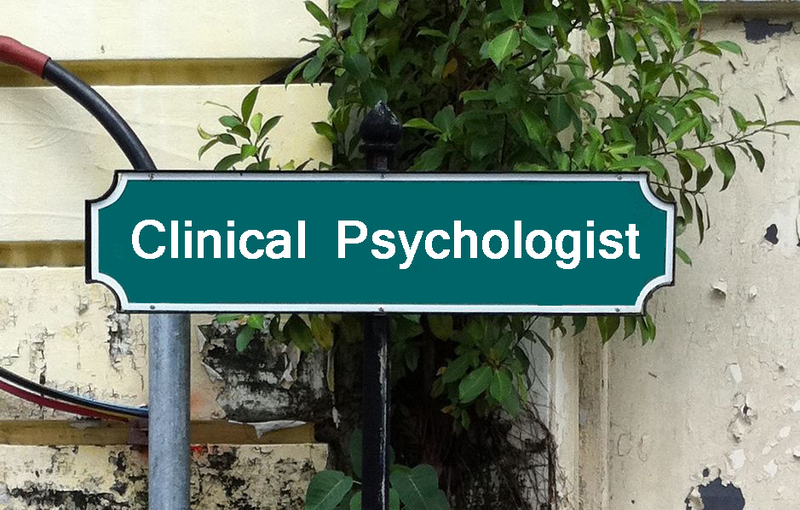 To become a registered clinical psychologist in India, it is mandatory to obtain licenses from Rehabilitation Council of India (RCI). In order to get the license of a clinical psychologist from RCI, you have to complete M.Phil Clinical Psychology Course from RCI recognized University/Institute/Hospitals. And Universities conduct entrance examinations for admission in M.Phil Clinical Psychology Course, it’s not easy to take admission in M.Phil Clinical Psychology course due to very tough Competition and the ratio between the number of seats vacant and the numbers of candidates apply in every session. So yes competition is very tough but not impossible… better guidance and systematic approach makes it possible and easier for you. This entry was posted in Coaching for M.Phil Clinical Psychology Entrance, m phil clinical psychology coaching, M. Phil Clinical Psychology Coaching, mphil clinical psychology entrance, psychology, एम फिल क्लिनिकल साइकोलॉजी, एम फिल नैदानिक मनोविज्ञान and tagged how to become clinical psychologist, process of becoming clinical psychologist, qualification for clinical psychologist on November 13, 2017 by UPS Education. 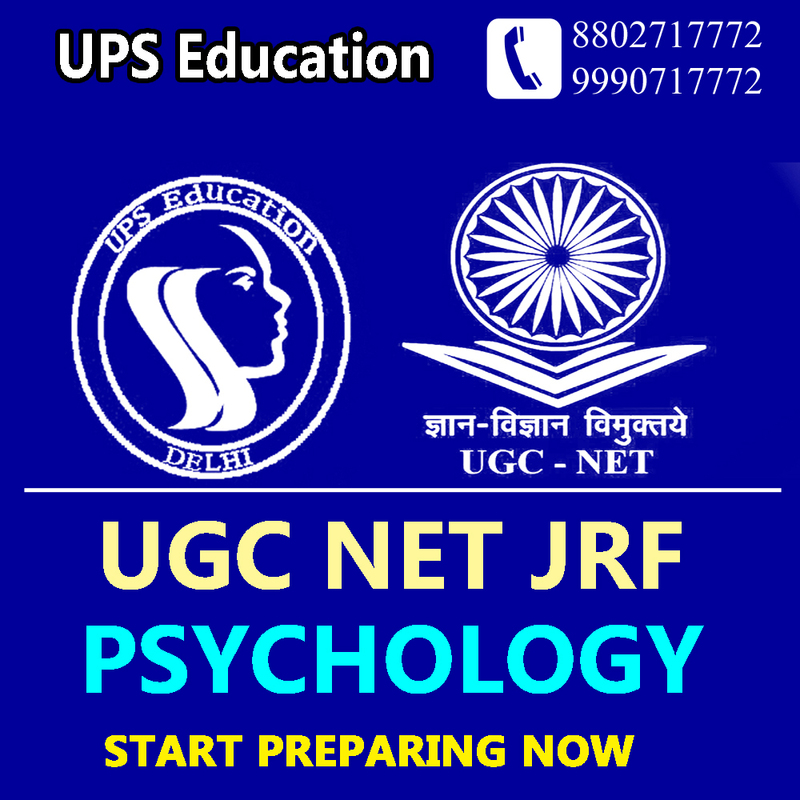 Start your Preparation for UGC NET JRF Psychology Examination with our Classroom Program or Distance Learning mode coaching, Join India’s No. 1 Psychology Coaching Institute and increase your change of success. This entry was posted in Best CBSE NET Psychology Best CBSE NET Psychology, Best NET Psychology Coaching, Best NET Psychology Coaching in Delhi, CBSE NET JRF Psychology Coaching, CBSE NET Psychology Coaching, NET JRF Psychology, NET JRF Psychology Coaching, NET Psychology, NET Psychology Coaching, Tips for NET Psychology Exam, UGC NET Psychology on November 8, 2017 by UPS Education. Are you ready for upcoming Psychology Entrance Examinations like: MA/M.Sc Psychology Entrance, M. Phil Clinical Psychology Entrance and UGC NET Examination? Don’t miss the chance to crack these exams this year. UPS Education provides Classroom Program as well as Distance Learning mode coaching for above entrance examinations. We organize online mock tests as well in our Distance Learning mode for the better practice of students; Start preparation with UPS Education Join our regular batch starting from 15-11-2017 or take admission in our distance learning mode coaching. This entry was posted in Best CBSE NET Psychology Best CBSE NET Psychology, Best NET Psychology Coaching, best psychology coaching classes in delhi, Best Psychology Institute, CBSE NET JRF Psychology Coaching, CBSE NET Psychology Coaching, Coaching for M.Phil Clinical Psychology Entrance, How to Crack UGC NET PSychology Exam, m phil clinical psychology coaching, M. Phil Clinical Psychology Coaching, NET JRF Psychology, NET JRF Psychology Coaching, NET Psychology, NET Psychology Coaching, NET Psychology Coaching in Delhi, psychology coaching in delhi, Tips for NET Psychology Exam, UGC NET Psychology, UGC NET Psychology Coaching, ups education, एम फिल क्लिनिकल साइकोलॉजी, एम फिल नैदानिक मनोविज्ञान on November 4, 2017 by UPS Education.